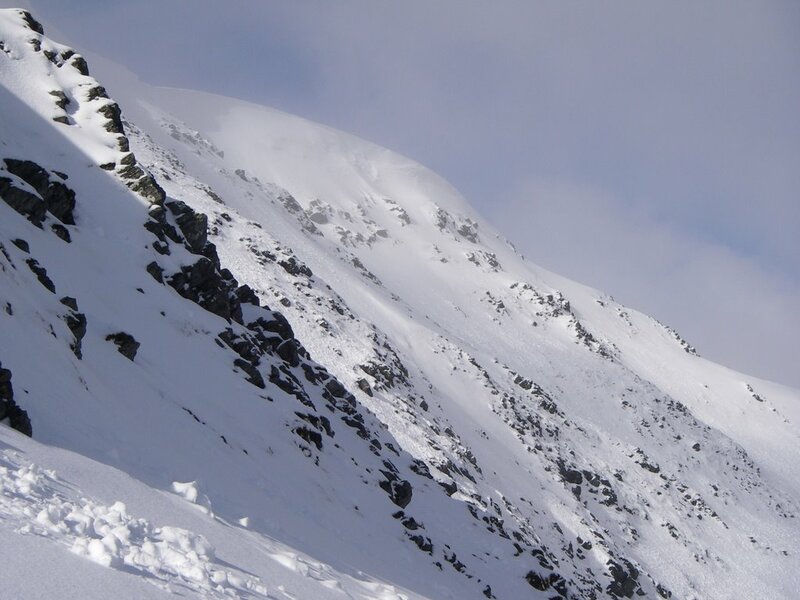 Plenty of loose snow avalanche activity on any steep, high aspect with East on it, as shown in the shot above. Beinn a Chaorainn is at the west end of our patch and is popular with walkers and those seeking a bit more adventure. The East Ridge is a fine, airy route with an Alpine-like flavour that ends close to one of the summits. The wide, steep corries that are a feature of the east face of the mountain can collect enough snow for large and spectacular avalanches (& monstrous cornices at times). Plenty of Plas y Brenin snow-holing groups around in the last day or two. We counted 22 in one group heading one way or another towards The Window.